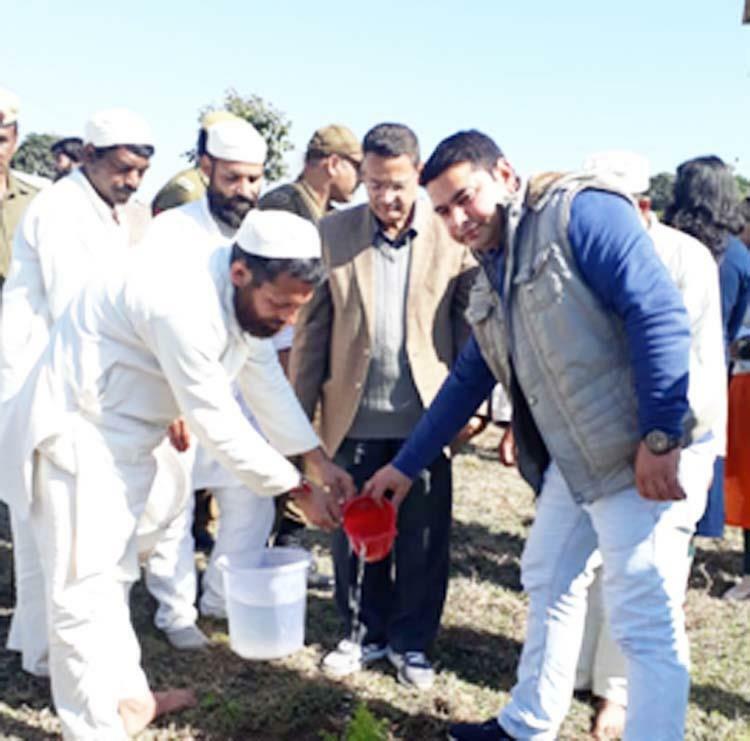 JAMMU, FEBRUARY 09: State Forest Research Institute, Jammu today organized a plantation drive and environment conservation programme at Central Jail Kot Bhalwal here. On the occasion, SSP Rajni Sehgal briefed about various activities undergoing in the facility and highlighted the significance of various plants linked to culture and Indian System of Medicine. Jail inmates expressed their views on the importance of plants and nature conservation. Saplings of various plants including Chinar, Ram Ashok, Jasmine, Peepal, Bargad, Maulsari, Jiyopota etc were planted on the campus on the eve of Basant Panchmi which heralds the onset of tree budburst and growth season after winter period. Director SFRI, O P Sharma highlighted the need for herbal innovations in the interest of better nutrition and health security, knowing forest edible products and adding value to bio-products in the field of biodiversity resource sustainable utilization.